For nearly 10 years, Jani-King of Rhode Island tried persistently to squeeze their foot in the door with a local Sheraton hotel property. 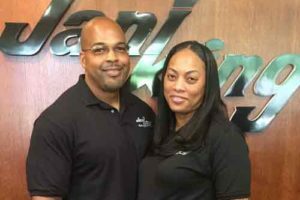 Finally, after almost a decade, changes in hotel ownership and ongoing struggles in the housekeeping department, the Sheraton opened its doors to Jani-King’s service. The Rhode Island regional office was able to get everyone trained for the account quickly, exceeding the customer’s expectations. After several weeks of providing services, Hoover received an email from the hotel’s general manager saying that service continued to go very well and that he is happy with the partnership. He then requested four additional housekeepers and another houseman to be added to the contract. Hoover hopes to soon increase the account to include the entire housekeeping staff except for Director of Housekeeping and her two supervisors. 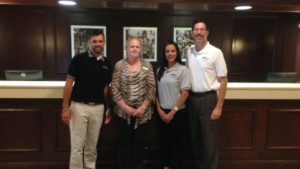 The Rhode Island team and the head of housekeeping at the hotel have a strong relationship and she feels that the Jani-King crews are performing well.